In 2019 we will see the development of at least three already emerging areas that will continue to affect the creative industries and innovation, according to Cannes Lions speaker Tracey Follows. Tracey Follows is the Founder of FUTUREMADE. She works with brands and helps them develop strategies to future-proof their organisation. Prior to launching her futures consultancy, she worked as Head of Strategy at Wired Consulting, Chief Strategy and Innovation Officer at the Future Laboratory and Chief Strategy Officer at J. Walter Thompson Worldwide and London. This year at Cannes Lions, Tracey will serve as the president of the new Creative Strategy Lions and make an appearance as a speaker on stage. To kick off 2019, we spoke to her about what big trends she expects to dominate the industry in 2019. 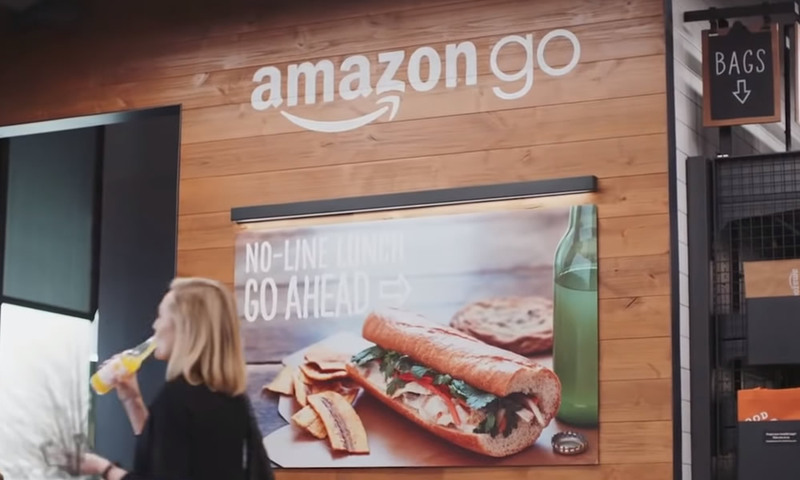 For those who have experienced the Amazon Go pilot store, you will know how powerful the pull of convenience can be. Amazon has taken its transactional, functionally efficient online experience and transported it into the physical environment. Through a combination of sensors, cameras and some machine learning techniques we can literally shop on automatic, choose an item and then walk straight out of the store, paying for it sometime later in the cloud. It’s very impressive as a frictionless experience. But via facial recognition, gesture recognition, and many other biometric indicators, personal data of a whole new level will be unconsciously handed over to Amazon through experiences like this. There are only two reasons brands are engaged in collecting personal data of this nature: i) to ensure they are placing the right product in front of the right person at the right time; or ii) to predict what that person will want to buy next. The marketing industry has spent the last ten years trying to hone the first of these practices but as we start to enter the next decade, predictive analytics will come to the fore and we will start to see a shift from behavioural analytics towards biometric analytics. China is way ahead of course, already KFC has trialled ‘smile to pay’ in stores and the Hen na Hotel in Japan already promises a keyless stay (your face unlocks your room). The innovation in facial recognition in particular is dominated by Chinese tech giants like Sensetime and Face++, who will improve brands’ abilities to better recognise their customers and what they are doing at any given time. Not only that, this technology will be used by third parties to better understand consumers’ emotional state and health conditions. A quick glimpse at the beta innovations on the Face++ website introduces us to ‘beauty score’ and ‘skin status evaluation’, two areas that might be of great interest to beauty retailers or health insurers. As we move to a world in which technology knows more and more about us, it will surface more and more of the same or similar content - since that’s what it thinks will make us happiest. In an algorithmic world driven by biometric data, it’s going to be harder and harder to find something that truly has the element of surprise. And as Tani Luna, founder of Surprise Industries puts it: “we feel most comfortable when things are certain but most alive when they are not”. The challenge for creative industries and creative businesses will be to be to ensure that in a world of predictive analytics we still all feel alive! Virtual digital assistants are part of the predictability game, and the more that people welcome these into their homes, the more predictable our behaviour will get. 2018 was the year that saw the beginning of the end of screen-based interfaces and the beginning of a more conversational interface age. Audio will become increasingly important, not just because audio can be embedded anywhere but because audio and voice media are more intimate media that encourage closer relationships between humans and machines. Gatebox demonstrates how a young Japanese man stays in touch with his holographic voice assistant or ‘waifu’ throughout his day at work or school, with her welcoming him home to hear all about his day. The relationship shown is as intimate as it could possibly be, but some people find this all rather sinister. We are not only encouraging adults into intimate relationships with these disembodied assistants, we are encouraging kids. Amazon launched ‘Echo Dot for Kids’. Developing new wake words (kids pronounce words differently, for example ‘Awexa’) and spotting new patterns of language communication, these assistants are teaching our children what is acceptable etiquette in terms of speech and behaviour. As a society are we really comfortable with that? The creative possibilities around voice are immense and many will remember ‘JFK Unsilenced’ winning the Grand Prix in Creative Data at Cannes Lions last year. It pointed towards a specific use of voice data that can preserve an important part of personal identity beyond death or disease. Away from Cannes Lions, experiments that use someone’s past messaging history, voice or video data abound. Recreating conversations with the deceased as if they were still alive and capturing and passing on memories for the future are all being explored as creative ideas to increase intimacy with those that no longer inhabit the physical world. One word of warning though, Japan has seen a rise of what’s known as ‘Hikkomori’, a term that describes a retreat from the world of messy, complex human relationships, in favour of more isolationist and machine relationships that seem more controllable and frankly, more programmable. Emerging media innovations may well be accompanied by emerging mental health issues. What we also saw in 2018 was the start of the breakdown of old demographic descriptors, most notably gender. In 2019 and beyond we will continue to see the declining importance of gender markers and the increasing importance of other identity markers. A new generation are creating and curating their own identities and in fact exploring many varied ways of expressing themselves. Perhaps the most notable example in the media might be Rain Dove, a non-binary model who appeared on two magazine covers side by side on the news stand; on one appearing very feminine and on the other appearing more masculine. This trend isn’t as much about transgenderism as it is about the general ability and curiosity of a whole new generation in tending to the complexity of personal identity. It’s important to brands because so many product categories are coded with gender expectations, whether that be whisky, or cosmetics or fashion and beyond. This year we will start revisiting these categories to explore which are hyperbolically masculine and which are hyperbolically female, and brands will struggle to, but will need to, untangle the strands that weave gender stereotypes into the very fundamentals of product usage. One simple task is to think about a brand’s website, do you ask people whether they are male or female, or is your first question about the how visitors use the product or what their needs might be? All of this will encourage consumers to explore their own individuality using whatever media available. The signal is in work like Miquela Sousa, better known as Lil Miquela, one of the most well-known fashion influencers on Instagram. Her outfits of the day, and front row attendance at fashion shows, appear alongside inspirational life advice. Just one thing - she is not real. Miquela is completely computer generated and in a way she is posing a question to her 1m followers and beyond: ‘can we really trust someone’s tastes and opinions if they are not of this world’? Her followers absolutely treat her as real and so did Prada when they did a huge marketing campaign with her this year. Fendi and Balenciaga followed in the same vein when they sent avatar models down the catwalk. We will start to explore our own identities through avatars, creating different versions of ourselves, placing ourselves in different situations and as a result, learning new things about who we are. We could meet avatar friends, or other avatar versions of ourselves but what is sure is that we will delve even further into the complexities of what it is to be me: not ‘he’ or ‘she’ but ME. For perhaps the pinnacle of creativity is creating one’s own identity (or identities) and sending them out into the world. You might think this fantastical but to go back to where we started this article, remember a couple of years ago, Amazon bought Body Labs, a company that allows people to make 3D avatars of themselves from a scan of the body. You won’t be wandering around a virtual Amazon shopping aisle in 2019 but you certainly will be one day.